Stay Tuned! 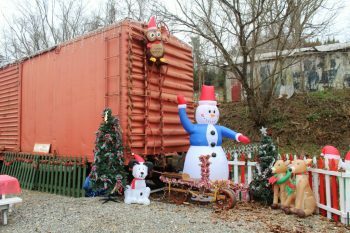 Craggy Mountain Line will run its 9th Annual Jingle Bell Trolley Ride beginning in late November. Come join us for a trolley ride, hot cocoa and a visit from Santa! About our event: Be transported back in time to our 1940’s themed tradition Christmas depot! 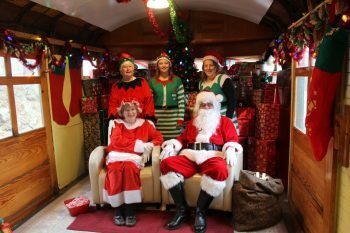 Decorated like a winter wonderland, our train cars are bustling with elves, lively Christmas critters and classical Christmas music. Fun for the whole family, the jingle bell trolley ride takes you down the mountain and up again along the historic Craggy Mountain Line Railroad. Afterwards, you’ll get to have a visit with Santa in his very own trolley! Lastly, you’ll enjoy free refreshments such as cookies and hot cocoa to warm up from a chilly Christmas ride. At the end of your visit, we hope you’ll have a look around at all our restored cars, decked out in lights! Booking Info: Tickets are $12 a person and children 3 and under are free! 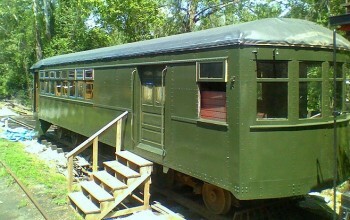 Booking the entire train for groups of 30 is possible online for a group discounted rate of $300. However, to ensure your group can have the entire train for your desired time slot, we recommend you call us at 828-808-4877 or email us at Rocky@craggymountainline.com. If you have any questions, feel free to call or email us! The hours for taking calls are Monday-Saturday 9am-5pm. Please be sure to arrive at the railroad 10 to 15 minutes before your allotted time slot to get checked in and board the train. Please print out or have a copy of your ticket on your phone for our box office. Our static cars can be viewed at any point during your time at Craggy Mountain Line, but we urge you to have a look around after your tour to ensure you’re not left behind when our trains take off! Cancellation Policy: We allow for a 48 hour cancellation for any tickets purchased. In the event of your cancellation within the 24 hour period, we will refund you and send you an email confirming the conformation. There are no refunds after the 48 hour period. 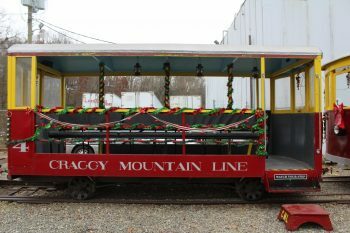 In the event of a cancellation of the Jingle Bell Trolley Ride by Craggy Mountain Line Railroad due to weather related or unforeseen circumstances, the railroad will refund your tickets or exchange your tickets for a ride in the future. Please email us with any questions or concerns regarding your ticket purchases at Rocky@craggymountainline.com. 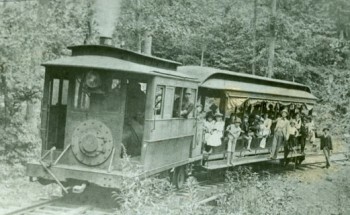 From the Craggy Mountain Line Railroad.